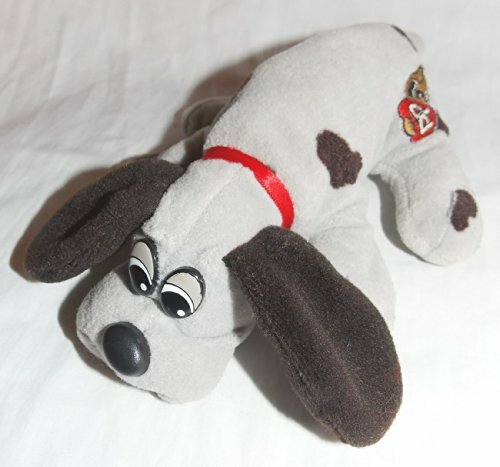 Newborn Pound Puppy Plush Grey Puppy with brown spots. He is approx. 7" long from nose to end of tail and grey with brown spots and long floppy brown/black ears and a red ribbon collar. Made by Tonka in the 1980's.